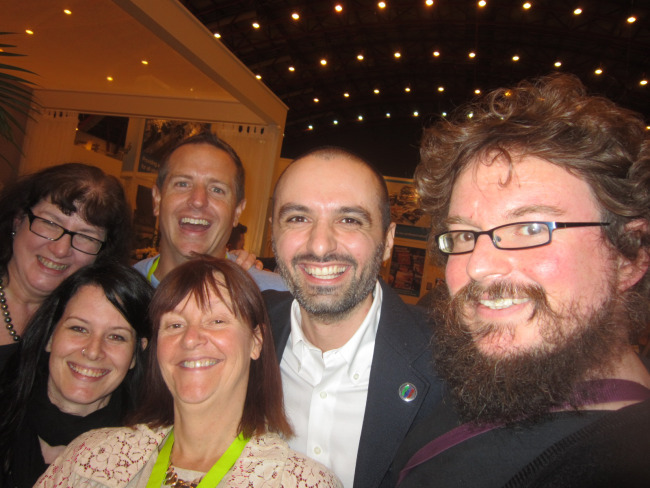 Best selfie of the show, by miles – courtesy of Dan Holloway (right), with (from left) me, Jessica Bell, Hugh Howey, Orna Ross and Diego Marano of Kobo. But there were also lots of other fun moments, some captured on camera, others stored only in my unreliable memory, so I’ll reel them off here for posterity. First face-to-face encounter with – can you believe this? 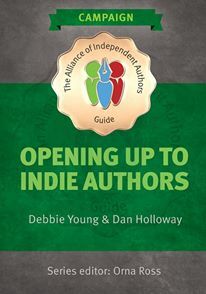 – my co-author Dan Holloway! Bumping into him in an aisle, I received an immediate bear hug. Well, we are both very easy to recognise from our mug shots! Catching up again with authors that I had met before and getting to know them better than ever. At the book launch, spotting other authors who I knew were there because I’d persuaded them to join ALLi, and seeing how much fun they were having. No regrets there! Strolling round the stands, taking in the zillions of books out there that are our competition – and realising the people who were promoting them were not having anywhere near as much fun as we were. Realising that really all this excitement is just the beginning of the adventure – there is so much more yet to come. The self-publishing star is in the ascendant, and I’m glad that I’ve hitched a ride! How happy are we?! 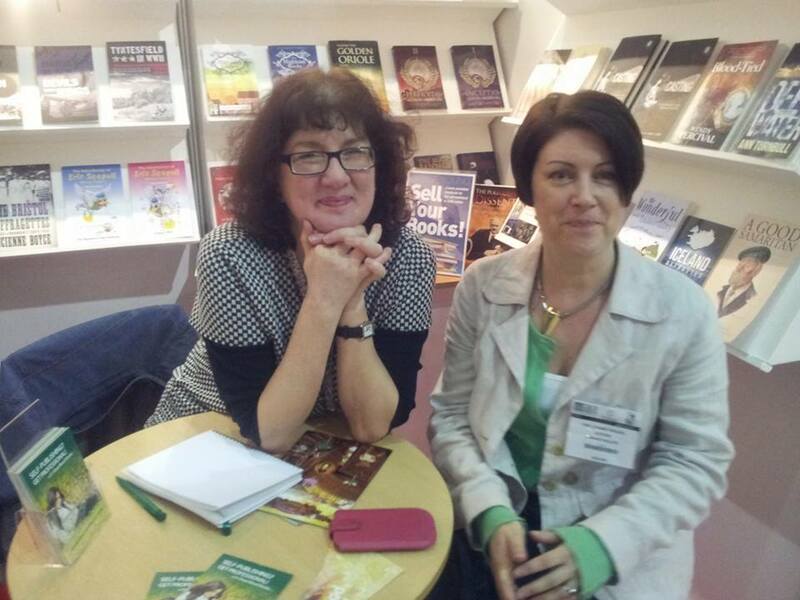 Catching up with Joanne Phillips on the SilverWood Books stand. If you were at the London Book Fair, what were your favourite moments? Do tell, via the comments form! Outstanding blog and brilliant design and style. Most envious of those who attended and heard the speeches. I did shoot up to meet, Jessica Bell and others on the Sunday eve but family life prevented me from attending the fair. Next year will be different! Well done to all who put Indies on the map, and thank you. This all sounds so exciting – I’m definitely going to go next year! Thanks for encouraging me to join Alli Debbie – I am off to do it now! That’s great news, I’m sure you won’t regret it! 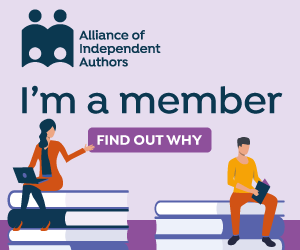 I’ll look out for you on ALLi’s Facebook forum – it’s a lively group and I’m sure you’ll feel right at home there! One of my favourite moments was finally meeting YOU, Debbie! 🙂 Looking forward to seeing you again in summer for a “proper” chat! So pleased with all you’ve done in these few days, Debbie. Here’s to more achievements to come! Absolutely – but first, I need a rest! 😉 Just had a little doze in the sunshine in the garden and feeling so much better for it!